THE PLAYERS 2019 returns to TPC Sawgrass from March 12-17, 2019. Yes, you read those dates correctly. In case you hadn’t heard already, THE PLAYERS is moving to March in 2019. Say hello to spring time in Northeast Florida, where cooler temperatures, lush fairways and greens, blooming flowers and the world’s best golfers await. Does it get much better than that?! Well yes, yes it does. THE PLAYERS DONNA 5K also returns in March! 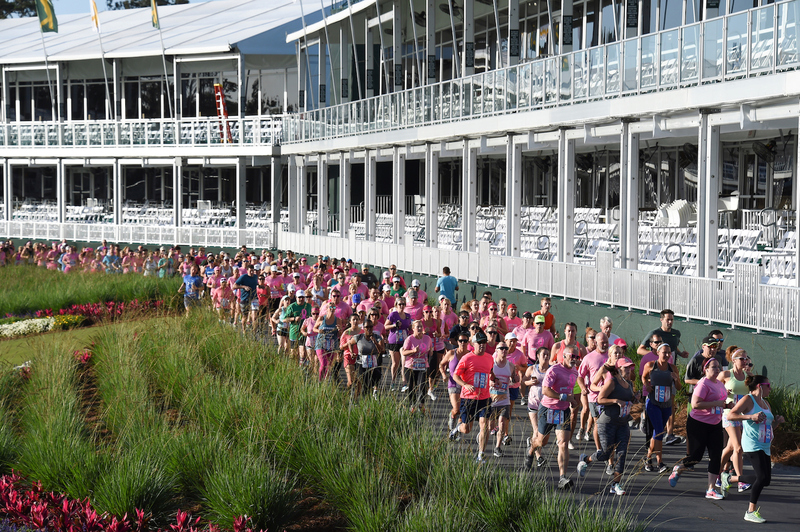 On Saturday, March 2, 2019, we welcome runners and walkers of all levels to experience a last chance, behind-the-scenes 5K route through the beautiful PLAYERS Stadium Course at TPC Sawgrass. NEW COURSE IN 2019 – Participants will begin at the beautiful TPC Sawgrass Clubhouse, and continue along the cart paths through all back nine holes, passing the world famous island green at 17 as the final preparations for THE PLAYERS Championship – now in March! – are being made. Registration opens October 15, 2018.